Open-source has been gaining momentum for some time now. It seems that every year, more companies have been adopting open-source solutions to meet their business objectives. In fact, the results of the 2013 Future of Open Source Survey revealed that 62 percent of respondents believe that more than 50 percent of purchased software will be open source in the next five years. While these four characteristics probably don’t raise any eyebrows, the reason users choose open source software might. 76 percent of respondents to an Accenture survey rated the quality of open source software as its most attractive feature. The next two most desirable characteristics? 71 percent said Reliability, while 70 percent cited Security. Price didn’t even make the top three, though it would be unwise to write off the cost savings of implementing open-source software. Not to mention the freedom. Choosing open source software means that your business isn’t chained to a particular software vendor. If a platform is underperforming, it can be dropped. This flexibility is particularly relevant for project management. The needs of large enterprise level projects vary widely from the requirements of small startup companies, so not getting locked in to a vendor contract is a huge plus. Let’s examine five open source options for project management. These applications were selected for their variety of features and ease of use. It’s important to note that not all of these platforms are free, because free isn’t always synonymous with open-source. A popular solution in the open-source community, Redmine offers project managers a range of options for how to organize their upcoming tasks. Redmine’s controls are comprehensive and feature private and public projects, all with dedicated subprojects. Managers can also control user access through role-based controls. Redmine features a number of project management standards, like Gantt charts and calendars as well as documents and file management, but this software really shines when used for tracking bugs and system issues. Redmine was built with the Ruby on Rails framework, and works across platforms. Especially easy to install, EGroupWare offers project managers a solution for addressing any potential interoperability issues with importing and exporting CVS files. Managers can also sync EGroupWare to their mobile devices or with their Outlook client. Unfortunately, notes and calendars cannot be synced with Outlook, but can be accessed via the Web. In terms of functionality, EGroupWare covers all the major project management based, like time tracking, task management, document management, and even per-project wikis. At $10 a month, FengOffice carries a higher price tag than most open-source software. However, if you’re willing to look past the monthly fee, FengOffice offers one of the most user friendly interfaces available, as well as a robust suite of tools including calendars, universal platform tags, and even an imbedded HTML editor. The HTML editor in particular reduces the need to switch between programs, and adds a bit more value in exchange for FengOffice’s $10 fee. If you just can’t stomach the cost – or simply don’t want to – check out OpenGoo, FengOffice’s first free iteration. Why would you look it up? Because it’s still free. Ganib features a large set of tools, such as timesheets for tracking billable hours, task management capabilities with numerous filters, and dashboards that give users an overview of their project in seconds. Ganib’s Community and Startup versions are free, though the Startup version is limited to 10 projects at a time. Roughly translated as “Project Free” – or “Free Project” if you want to be precise — ProjectLibre received InfoWorld’s Best of Open Source award in 2013, reinforcing its credentials as an excellent project management tool. ProjectLibre markets itself as a direct replacement for Microsoft Project, and with its real-time progress tracking, Gantt project planning views, and resource management capabilities. It’s a difficult assertion to refute. Zach Watson is a content writer at TechnologyAdvice. He covers project management, EHR solutions, and more. You can connect with him on Google+. Get the tools you need to become an even more effective change leader yourself, to develop change leadership capacity in the clients you coach, and to facilitate powerful and sustainable results for the teams and organizations you support. PMs who get CQ get results! Good list, with real Open Source. My choice in the list would be Ganib : well thought and really full Open Source. I would have more reserved advise on RedMine and FengOffice : business model comes quickly out of opensource to get all functions / plugins. ProjectLibreis a good replacement for MS-Project, but only for this : it means it covers only planning. Another opportunity is ProjeQtOr : direct competitor to Ganib. Also fully Open Source, few more functionalities and Quality Oriented, but a bit less beautifull. Great informational resource indeed! Thank you so much for taking time to share your valuable knowledge and experience. Love to read your next post! Thanks for sharing all this great information, very useful! Would it be OK to give reference to your article in the above post? What about collabtive? is it considered to be one of the list? many people are recommending it. Thanks for the overview. I used redmine quite a lot of times. Now I use ERPAL from http://erpal.info as it is open source and I can also manage other parts of my business with it like stuff management, CRM, billing and reporting. Jira has a great usability and I think its worth mentionning here. I’m not sure is you had considered Project.net in your evaluation. I can provide a trail account to you to check the system. Thanks for your nice list, Jach. My team did use 2/5 in your list, they are Redmine and FengOffice. They works really nice but due to some missing features, and slow then we switch to MyCollab http://community.mycollab.com, which is an open source project management tool as well. It will the full aspects of project management tool and development is really nice to respond my feedback. Actually, they have some missing features such as advanced search, though they promise to give it soon but I still look around for any better tool though. Wonderful article, a very good detailed information about project platforms. 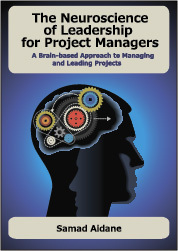 The Project Management Professional (PMP)® is the most important industry-recognized certification for project managers.If you become PMP certified it would add a lot of value to your career for growth in any organization. If you really want to get certified in PMP you should refer to books or you can learn them from online. After completing the PMP courses you can also take practice online refer to http://goo.gl/85gXuHere after practicing you can also be certified in PMP through the PMstudy .